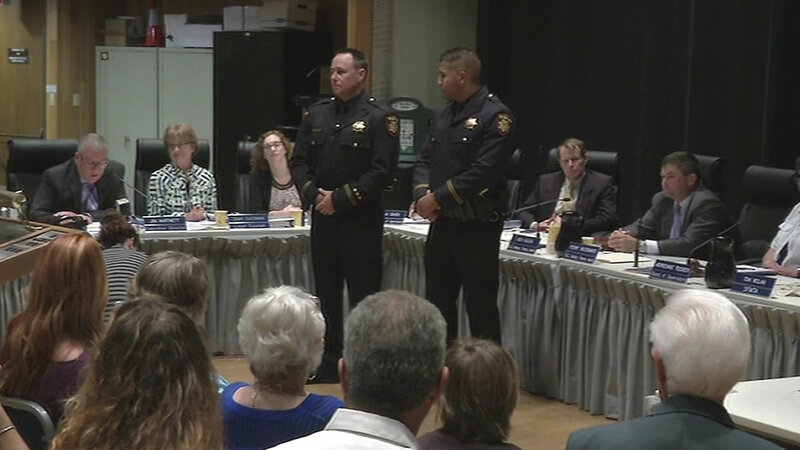 SUNNYVALE, Calif. (KGO) -- Two San Mateo County deputies, who saved a driver stuck in a car on the tracks last month, were honored by Caltrain on Thursday. Deputies Lance Whitted and Erik Rueppel were recognized Thursday morning for going above and beyond the call of duty to protect lives. A witness captured video of the rescue in Sunnyvale on Aug. 3, just seconds before the train hit the car. Police say the driver had been involved in a hit and run and kept driving until he skidded into the railroad crossing arm. Whitted says he was just doing his job. He said, "I don't think I'm a hero. I was just in the right place at the right time. I'd think any other deputy or cop on the street would have done the same thing." The duo had only been working together for a couple weeks. The driver suffered minor injuries and was arrested and charged with driving under the influence.